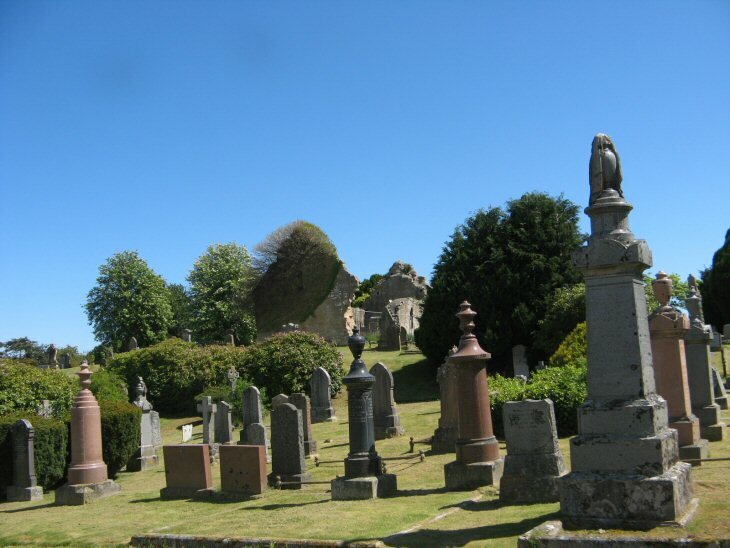 There are three burial grounds in Tain, all called St. Duthus. For the purposes of the website, this one, the intermediate in age is called Tain St. Duthus (though called Old on the gate); the others are identified as Tain St. Duthus Old (on the High Street) and Tain St. Duthus New. This burial ground is in the lower part of the town, off the access road signposted to Tain Golf course. It is just across the bridge over the railway line (Tain St. Duthus New is on the town centre side of the bridge). Picture Added on 07 January 2013. I am searching for the grave stones of my husband's great-grand father, John MacKenzie, Wood Merchant, Woodbine House, Tain and his wife Jane MacDonald. Added by Joyce Mackenzie on 02 February 2016.